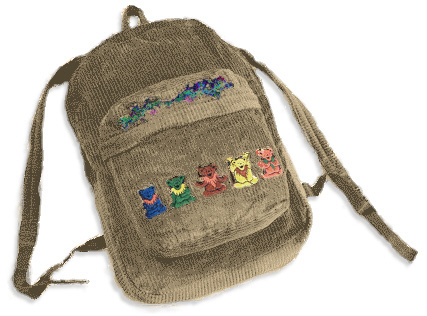 This Grateful Dead corduroy backpack is 12" X 15" and is officially licensed Grateful Dead merchandise. 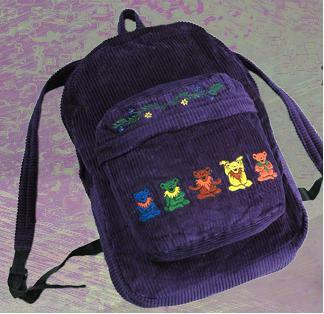 Full zipper closure, perfect for school or work. 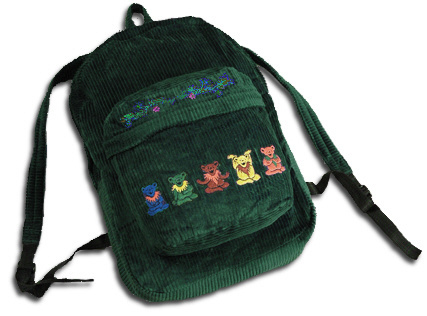 Dancing Bears and flower embroidery rest on an outer pocket that also zippers shut.